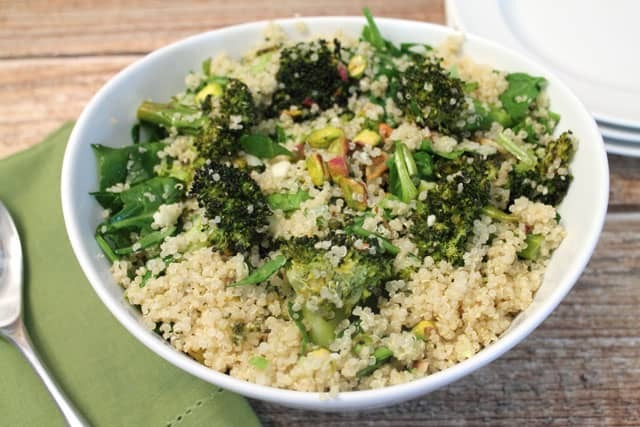 Roasted Quinoa Broccoli Salad is healthy, full of protein & easy to throw together. 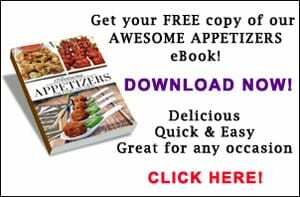 It can be a side, a meatless meal or, add chicken, salmon or shrimp, for the perfect lunch or dinner. 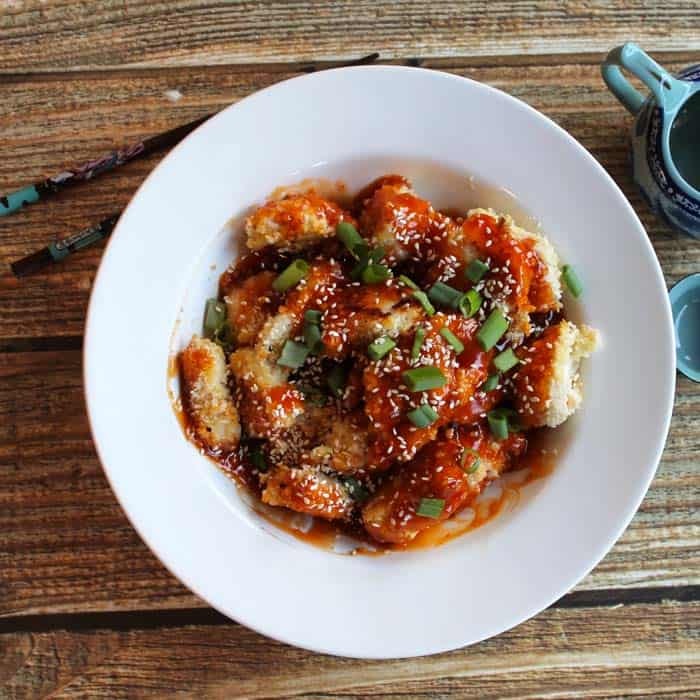 Are you one of the quinoa lovers or quinoa haters? 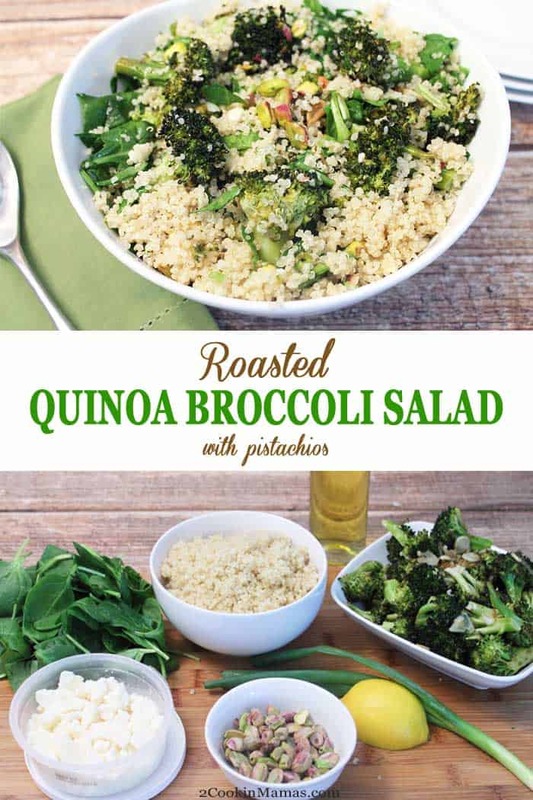 Most people trying to eat healthy love it and always have a supply of quinoa on hand (you know, so you can make this delicious Roasted Quinoa Broccoli Salad) and some say it’s just passe and they are looking for the next big health craze. But I have to tell you, there is absolutely nothing that can compare to quinoa’s nutritional value, its versatility and its deliciousness. I love quinoa and I know I always will. 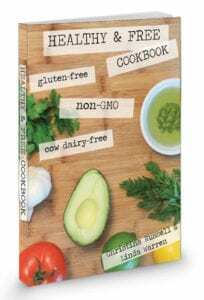 It is the perfect protein as well as being super good for you. (You can check out all it’s benefits on our health & nutrition page.) 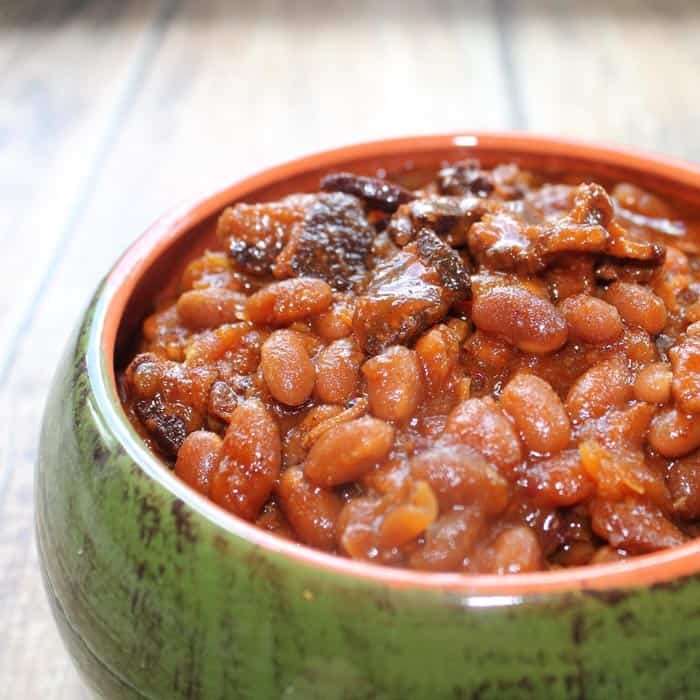 It’s great as a side for lunch or dinner or equally as good as a meatless meal all by itself. And it’s great for all our gluten-free friends too! Today’s salad is easy to throw together on the weekend and perfect for weekday lunches or dinner. I like to combine it with a chicken breast, which can be as easy as picking up a rotisserie chicken on your way home, grilled salmon or steamed or sauteed shrimp. It can be served warm or cold too. 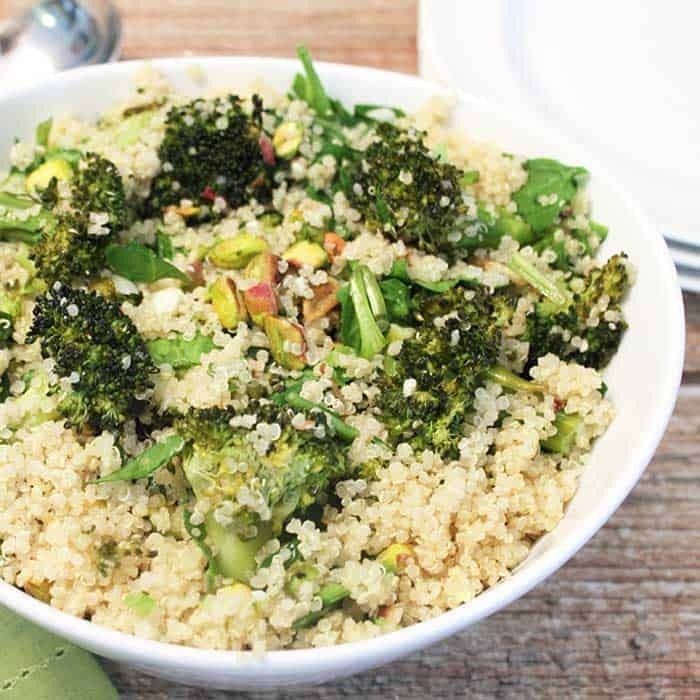 Roasted Quinoa Broccoli Salad is the perfect summer salad. I’m also so crazy about the roasted broccoli that I make extra and serve that as a side for another dinner. I might even nibble on it during the day when I get hungry too. 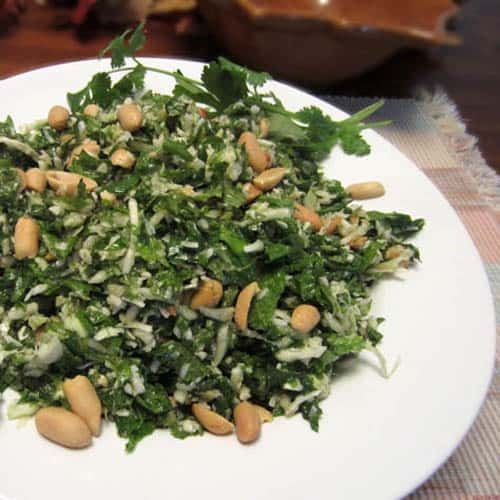 🙂 Toss in some delicious pistachios and it puts this salad over the top. And if you don’t care for pistachios you can always sub another nut, such as pecans, walnuts or almonds. 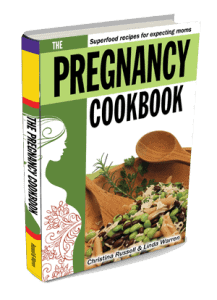 In a medium saucepan, combine quinoa and water, bring to a boil, lower heat, cover and simmer 15 minutes. Fluff and place in large serving bowl. Add roasted broccoli, spinach and green onion then drizzle with olive oil and lemon juice. Toss to coat. 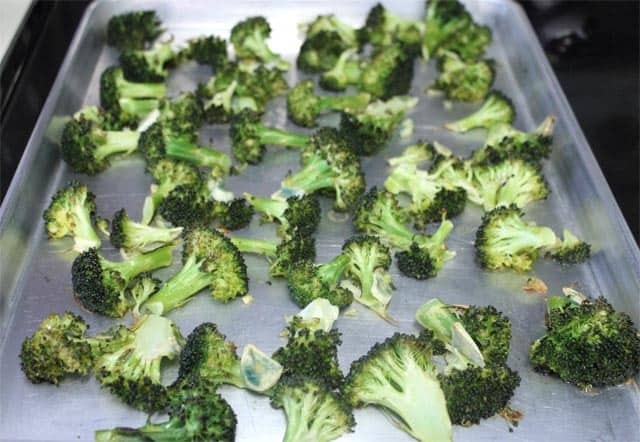 How to roast broccoli: Preheat oven to 400 degrees. In a large bowl, toss 2 heaping cups of fresh broccoli florets with 3 minced garlic cloves, 3 tablespoons olive oil and 1-1/2 tablespoons lemon juice until well coated. Spread out on baking sheet, season with salt & pepper then roast for 20 minutes.